Residual dentine is the dentine left during and after instrumentation. Dentine has excellent buffering capability to neutralise the effects of cariogenic acids. The remaining dentine thickness, from the base of the cavity preparation and the pulp, is one of the most important factors in protecting the pulp against numerous types of insults. 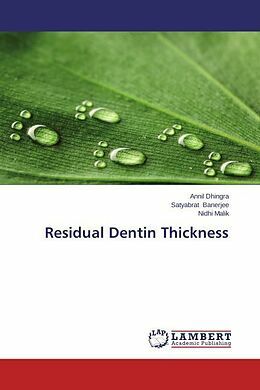 The remaining dentine thickness affects pulp vitality and the outcome of restorative procedures. Restorative dentistry rests on the hypothesis that bacterial infection of demineralised dentine should prompt operative intervention. One of the concepts of practical dentistry is to create a favourable environment for caries arrest with minimal operative intervention. 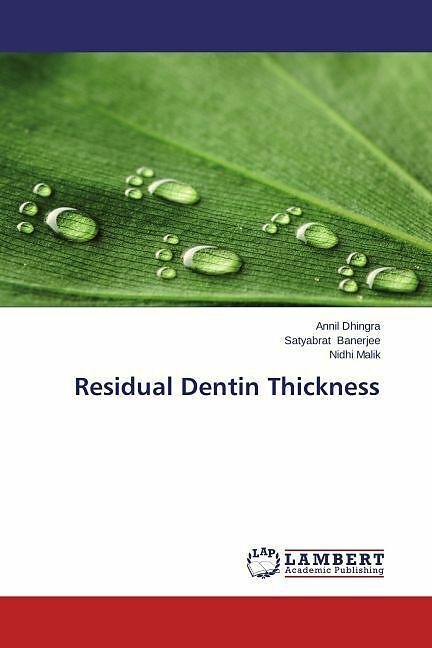 Remaining dentine thickness approximately 2 mm of dentine or an equivalent thickness of materials should exist to protect the pulp against injury or inflammation has changed over the years. Root canal preparation has been considered the most important step in endodontic therapy for dentine removal. It is a challenge for even the most experienced endodontist to achieve optimum cleaning and shaping. Dr Annil Dhingra, Professor and Head, in D.J. College of Dental Sciences & Research, Modinagar, U.P. A fellow of International College of Dentists (India, Srilanka and Nepal), he is on the editorial board of Guident, is the assistant editor of Journal of International College of Dentists. He maintains a speciality practice limited to endodontics.